McDonald's lunch box. 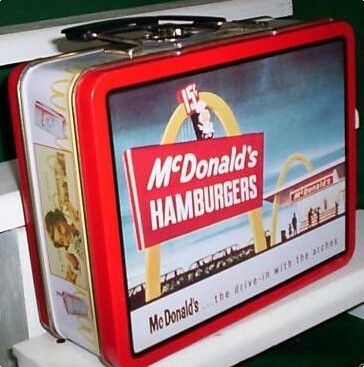 1980s McDonald's metal lunch box...Just the thing to carry your Happy Meal!. Wallpaper and background images in the Lunch Boxes club tagged: mcdonald's vintage lunchbox lunch boxes photo.